High in the Altiplano region of Bolivia on the southwest edge of Lake Titicaca lies the Unesco World Heritage site of Tiwanaku. The historical ruins of the Spiritual and Political center of Tiwanaku can date its roots from as far back as 300 C.E. Even earlier traces of civilization have been found in the area that go back even further to 1500 B.C. as a small agricultural village. With a heritage far longer than the Inca Empire in Peru, its more subdued remains whisper to you if you listen. 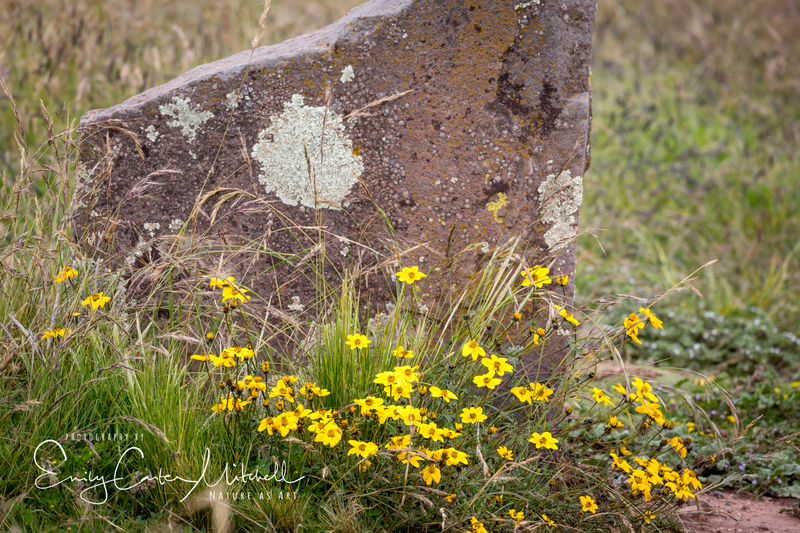 Ancient stones that hold sacred stories that only the ages can know. 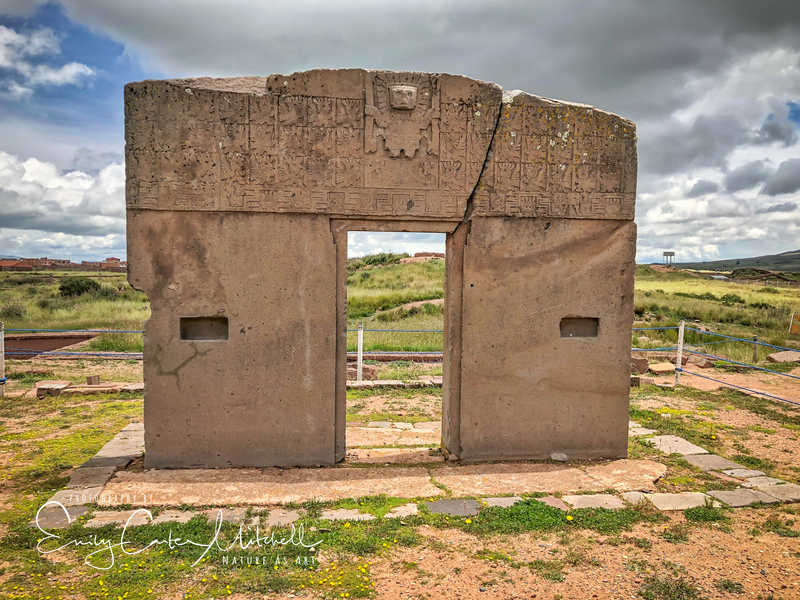 The peak of the Tiwanaku civilization was between 500 and 1,000 A.D. and it is thought that perhaps climate change may have attributed to their demise. Their engineering was superb and they were able to create stable structures with straight exterior walls and fitted building rock blocks in a puzzle fashion. Utilizing a water drainage system for their water supply, and developing a raised bed for their crops helped their success in farming. These raised beds were surrounded by water that heated up during the day and retained heat in the cold Altiplano nights thus creating a micro-climate for crops. Two notable features within the ruins are the Sunken Temple and Kalasasaya. 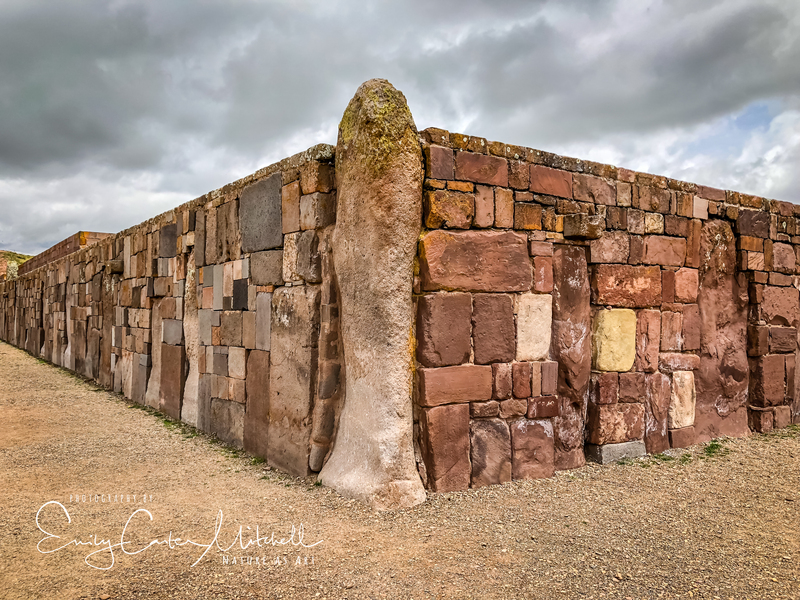 The Sunken Temple holds monoliths that stand in the middle of the room and the walls host faces of cultures that perhaps the people of Tiwanaku had contact with throughout the centuries. The Kalasasaya or “stopped stones” is large walled in platform that dates back to at least 200 C.E. and hosts two of the better known features of Tiwanaku. The Ponce Monolith was discovered by Julia Elena Fortin in 1957 and when the equinoxs enter the sun through the gate of Kalasasaya, it is illuminated. 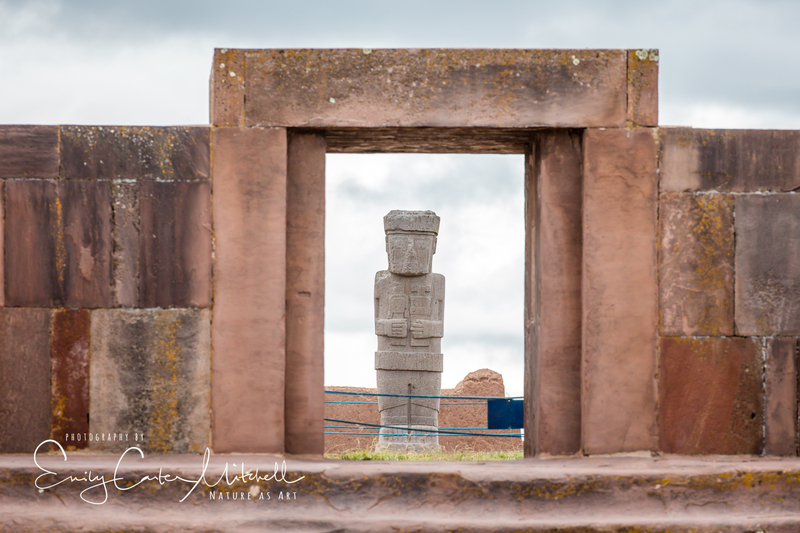 The other, more notable symbol of Tiwanaku is The Sun Gate. I remember the Sun Gate from my childhood visits. Back then, the gate was located at a different place within the ruins and we used to play, chasing each other through the gate. Now the Gate has been roped off for preservation and it is thought now that on the back of the gate remains of a Royal Family was kept. I also happen to remember it being a whole lot larger than it actually is. 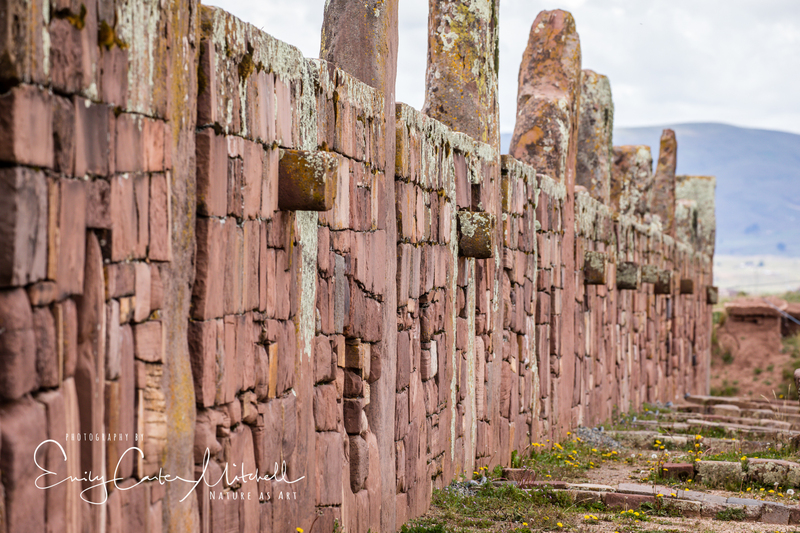 Our guide – Gery Hartman of Expeditours was an educated expert of Tiwanaku and wrote his Master’s thesis about the ruins. Excited as he was to share his in-depth knowledge my friend and I were alas less attentive than we should have been. With two museums on site now, there is much more to learn about the ruins than just seeing them in person. It was wonderful to see how an effort of conservation and preservation on this precious history and the remains left behind of a culture little known about is now in place. 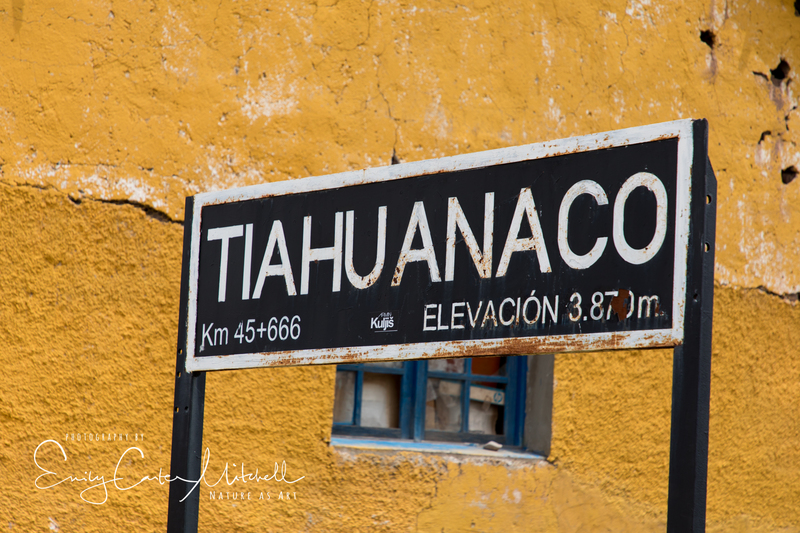 Certainly it should be a ‘must-see’ on your visit to the Lake Titicaca region of Bolivia’s Altiplano. If you’re a history buff and want to know as much as you can, Gery Hartman is your local historical expert. My pleasure Phyllis. I appreciate you taking the time to enjoy them. So hard to compare the skills of our ancestors and current generations, I always felt. We have some incredible temple architecture here in South India which is over a thousand year old and gives the same feel. It really is mind-boggling Sreejith. Machu Picchu even more as the stones are so large and heavy. I would love to see some of your Indian ruins. Do you have any posted? WOW! That is truly amazing! The mind boggles as to how they could have built such a magnificent structures with the basic technology of the day. I read a theory in a Spanish magazine (Año Cero), which deals with unexplained phenomena, that some ancient civilisations might have had the help from extra-terrestrials, even the Pyramids in Egypt are supposed to have some help from out of this world beings! It certainly is food for thought, as they are simply superb and far better than a lot of the architecture of today, which I am sure will not last for thousands of years. your trip looks really amazing, Emily, and I am getting more and more jealous by the day. Thank you for sharing it with us: it is magical travelling with you. Blows me away – and if you notice on the faces on the wall, two of them look like Aliens. I’m a firm believer that Aliens may have helped them way back when. Sure would help to explain things wouldn’t it? You are living the high life too – all the warm and beautiful places you are right now. It means so much to be able to have you ‘travel’ with me in our wonderful adventures. Besos! Yes, I did notice those faces: very intriguing. These are interesting stone structures, less geometric. When you were younger, do you remember the monolith standing up? You know, I don’t even remember the monolith Perpetua. Just the gate and the weird faces in the sunken room. After Machu Picchu with its huge granite stones, this was different as well as the color of the stone. Thank you. Stunning! I can feel the warmth of those stones and so much want to rest my hands on them. 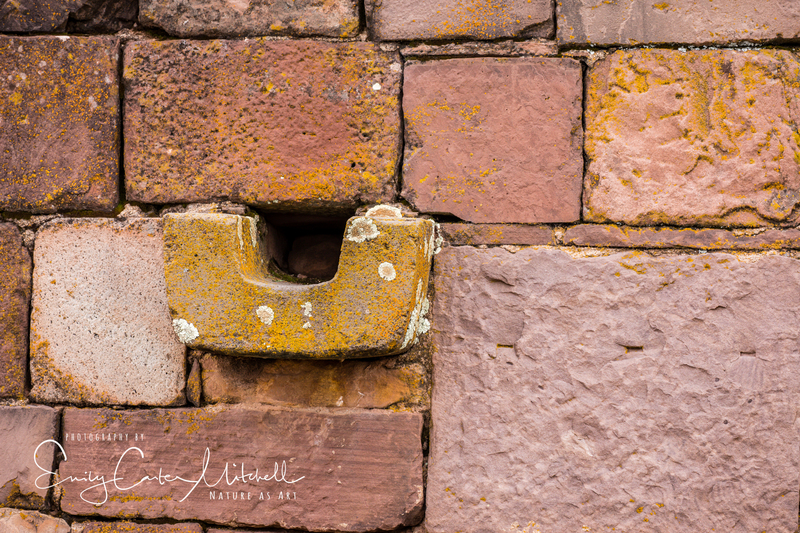 I have a hard time keeping my hands to myself around stone structures. I want to draw out their stories. Just gorgeous! I can only imagine, and I didn’t as I also should have placed my hands on the stones. To feel their vibration as I believe stones are spiritual and hold energy. You particularly feel that at Machu Picchu Terri. Wishing you safe travels Carolyn. Bolivia is wonderful and safe. The altitude can get you though. Good luck!